The Cambridge satchel company has set the tone for this long living trend of satchels. 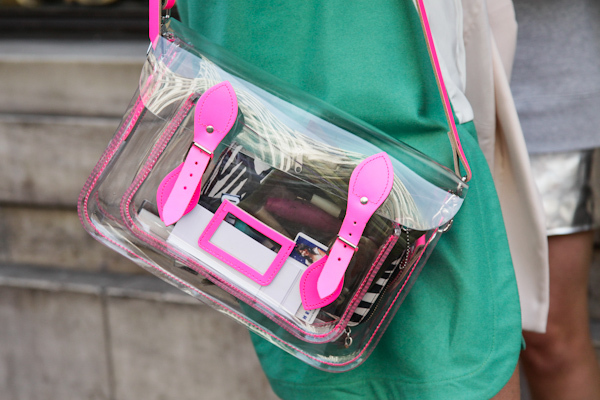 We've seen bright pop colours, neon and now we have this translucent style. None of the lux details are lost in the leather trim. A nice bag spotted at London Fashion week ss13.